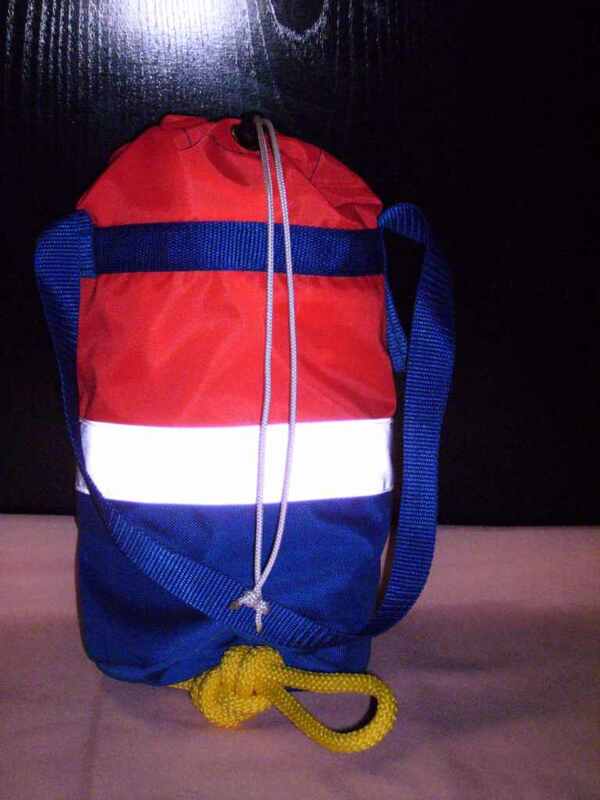 Our standard 20m Water Rescue throwbag features high quality 420 Denier Nylon/Cordura which is double stitched. The River Rescue Rope is 9mm Yellow (High Visibility) polypropylene rope (Kernmantle) with a rated strength of 860kg, Weight: 50gm./metre. 25 metre versions can be made on request.